Burnt Pine Golf Club has been named the “Crown Jewel of Florida Golf” by Golf Magazine and its easy to see why. Designed by celebrated golf course architect Rees Jones, the 18-hole, 7,000-yard championship course has four sets of tees with ratings ranging from 69.4 to 74.7. 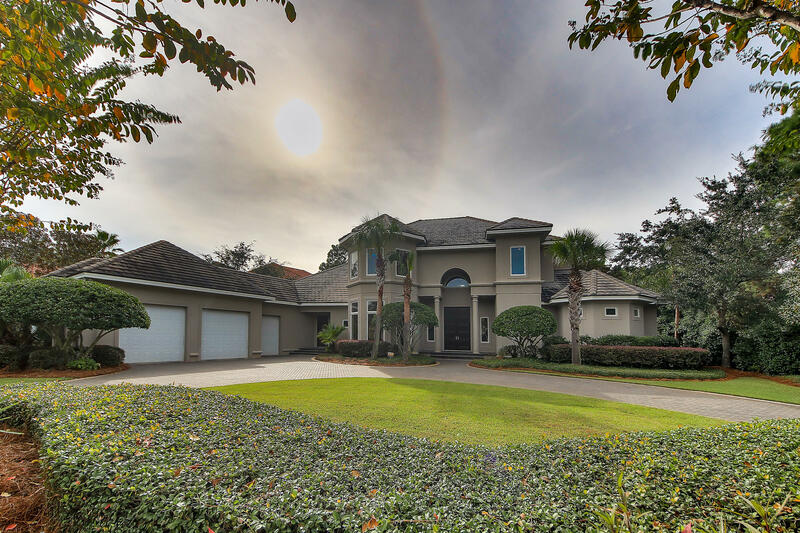 Boasting long-range views of Choctawatchee Bay from the back nine and wetlands and lush pine forests throughout, the gorgeous setting serves as the perfect backdrop for truly superb golf. Golf carts here come with built-in GPS and our thirsty players especially enjoy the complimentary roving beverage services. The Burnt Pine community is the ideal choice for anyone looking for top-notch convenience, the utmost comfort and a luxury lifestyle known the world over. 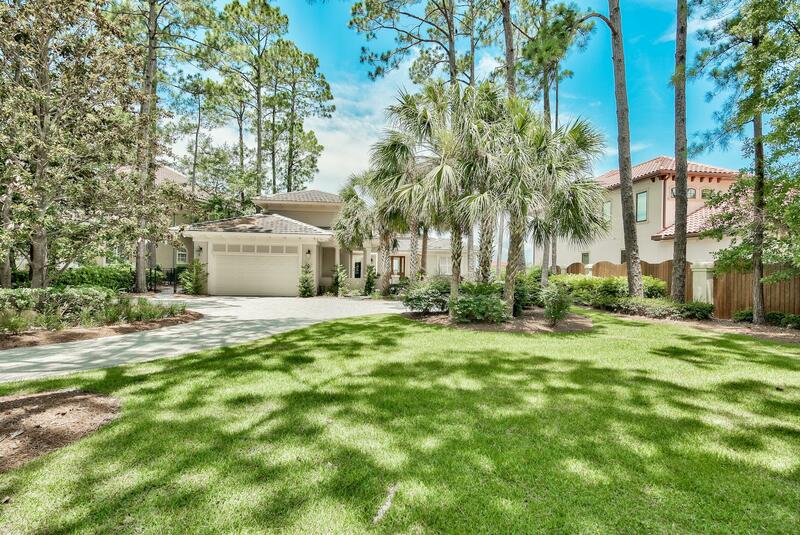 It is undoubtedly the most exclusive of all the guard-gated communities within Sandestin Resort. Among the most popular neighborhoods within Burnt Pine are: Merion, Bay Estates, The Preserve, Club Drive, The Oaks, and Arrowhead Point. 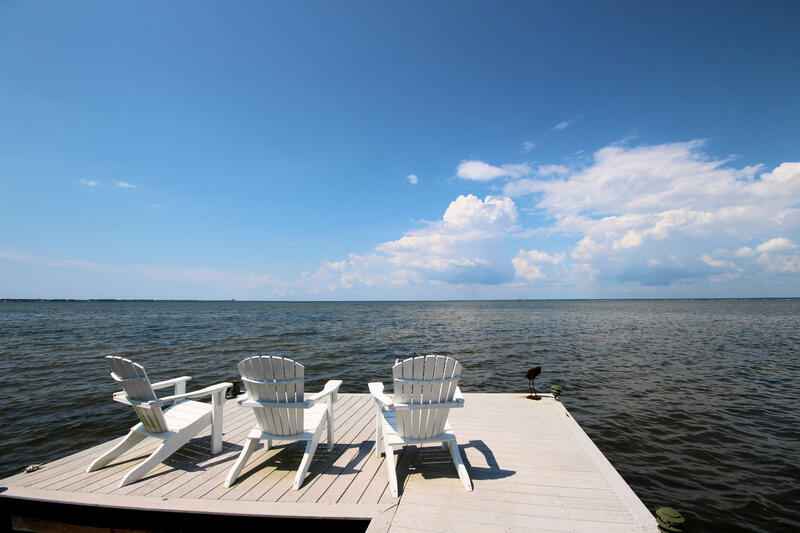 All of these neighborhoods are imbued with the distinct air of affluence and luxury enjoyed by all residents and members of this premier beach and golf resort. 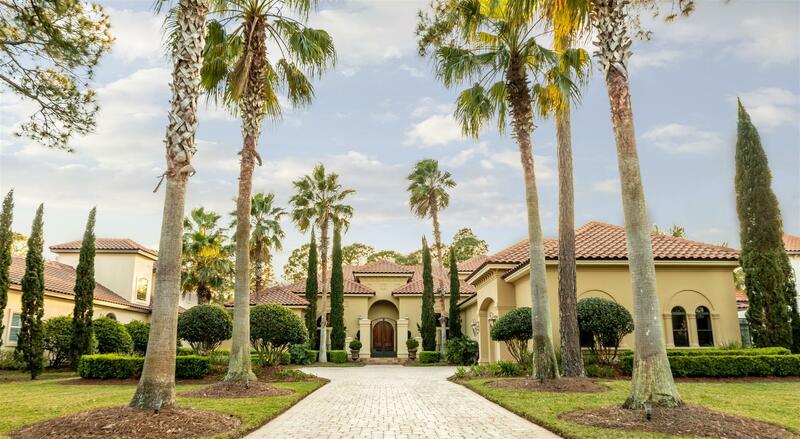 A wide selection of homes in Burnt Pine are right on the golf course or have breathtaking bay and lake side views. 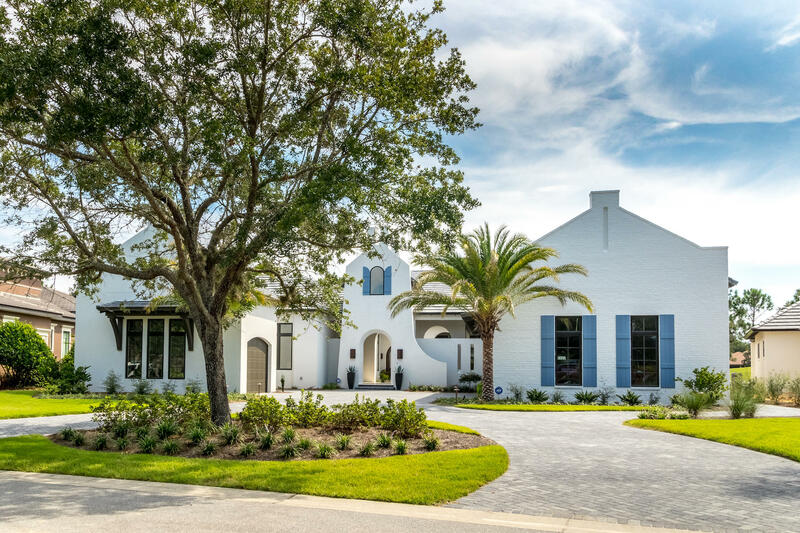 Most of the homes follow the elegant designs of Mediterranean architecture, with stucco exteriors, tile roofs, and numerous arched windows. Interiors typically boast hardwood flooring, high ceilings, complimenting wood panels, and other designer features. Priced in the eight-figure range, Burnt Pine properties are one-of-a-kind, highly re-sellable, and technologically up-to-date. There are also lots available for those who want to customize every aspect of their dream home – if you’ve been dreaming about having your own wine cellar, make it happen here in Burnt Pine. 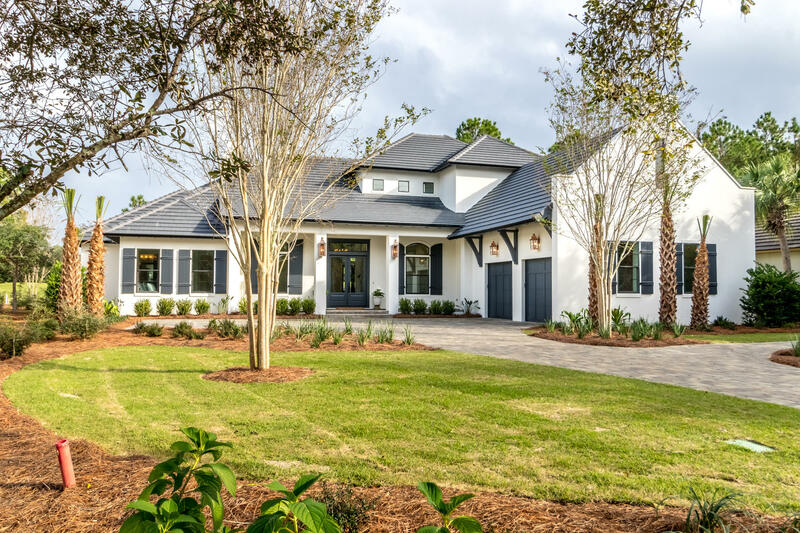 From spacious, beautifully manicured lots to tree-lined streets, Burnt Pine has created a lovely and lavish community with the upscale lifestyle in mind. Whether you’re in the market for a permanent residence, a vacation villa, or a golf getaway, this is the community for you.